Yousef Zaman, chairman of Masjid Faizul Islam mosque in Aston, said: "My initial reaction was shock that this had happened. "There's a fear factor now in that adults are saying they're going to keep their children away from the mosque today because they're worried that it's not safe. 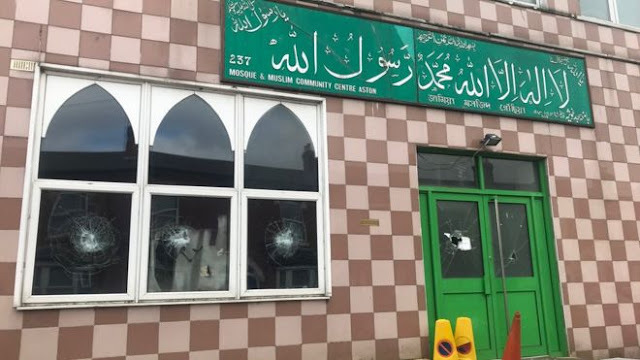 A spokesperson for Witton Islamic Centre on Witton Road, also in Aston, said CCTV captured a man smashing windows at about 01:30. "The whole of the front windows, about six, were smashed," he said. May Almighty Allah Protect you all and us..